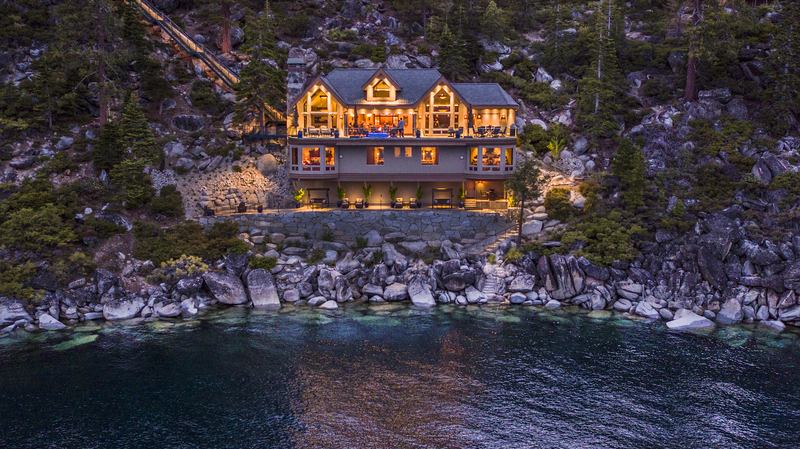 Crystal Pointe is a magical estate set on the cliffs of Lake Tahoe’s North Shore. great estate properties. It was designed to make the most of the styles of the area while adding in the latest amenities to delight today’s residents. The home blends seamlessly with the magnificent surroundings. 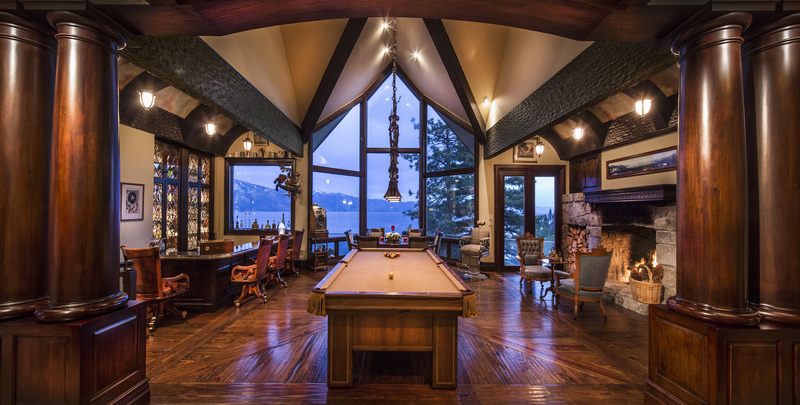 Set on 525 expansive feet of Tahoe’s lakefront the home sits on 5.14 acres (on two parcels). Together the main residence, guesthouse, caretaker’s apartment, and beach house comprise 16,232 square feet of living space with eight bedrooms, ten full and one half bathrooms and 13 fireplaces. 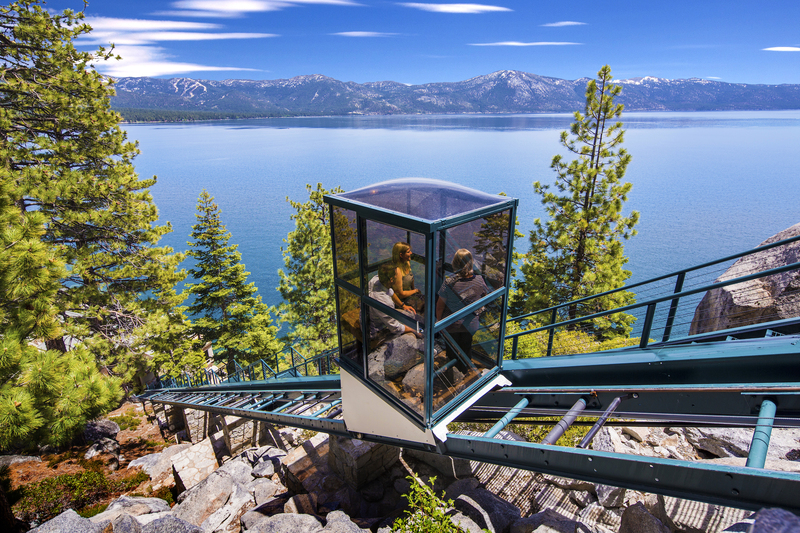 The home also includes two glass funiculars and two elevators, a ten-seat theatre and a 1,687-bottle wine cellar. The entry pavilion welcomes at the end of the private driveway where one of the glass funiculars is located adjoining the oversized four car garage. The adjacent US Forest Service land provides utmost privacy, and main level living is afforded through a creative design that wraps the home around the contour of the sloped mountainside. 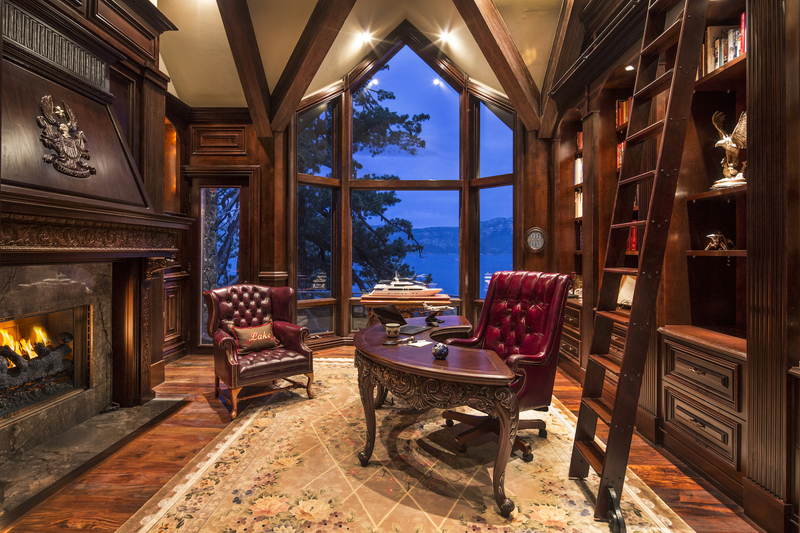 The sellers spent years constructing a masterpiece that has stunning views and rich wood built-ins. 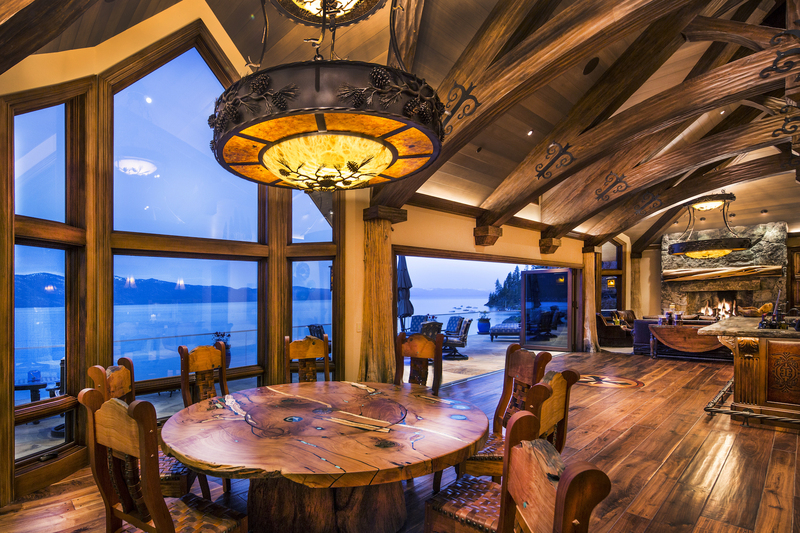 Large stone fireplaces provide central gathering places and provide a counterpoint to the lake views. 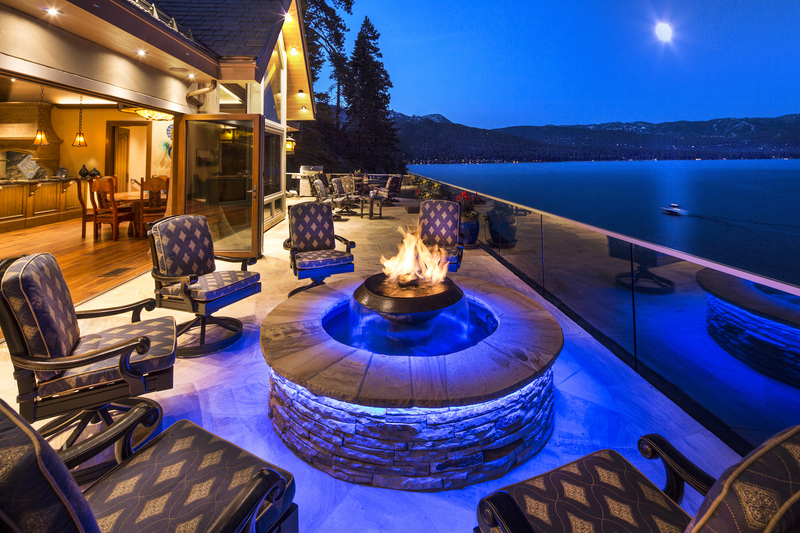 The grounds are simply amazing with level lawns, ponds, and waterfalls, and the newly constructed beach house which provides every amenity for ultimate Tahoe living. Crystal Pointe is listed for $75 million by Chase International, an affiliate of Luxury Portfolio International®. All photos by Jeff Dow.